Updated and New UI that improves space and looks great. Greatly improved performance when translating files. Improved speed of sending and receiving results from remote glossaries. Best TM match will now overwrite lower TM matches automatically. Updated Preferences layout to make preferences easier to find and see. Moved Auto-propagation, Text tools, and Machine Translation to be application level preferences, which means that anytime that they are modified, they will apply to all projects. Auto Propagation defaults are now checked for 100% matches, Fuzzy Matches, Auto-propagated Matches, and Machine Translated segments. You can now set your username in the preferences that are used when writing to TM and Glossary. Updated Google Machine translation to support Premium Edition. Updated Microsoft Machine translation to support Azure Portal service. Moved Smart Quotes preferences from being project specific to application wide. Updated support for several OSX shortcuts. Please see shortcuts section of Help for an updated list. PDF preview now supports PPTX source format. Added ability to show a translated preview of HTML content. Added ability to show a translated preview of office files in PDF format. Added a default JSON filter instead of defining a text based format filter. Added ability to create a project from multiple TXLF files with language detection. You can now run Analysis in Quicktools without using a TM. Quicktools Pseudotranslation now remembers previous settings. File language is now automatically detected when adding TXLF files to WFP5. You can now cleanup files in a project without having to create translated files. Leveraging a segment using the “Leverage” action in the editor now overwrites whatever is in the target. Automatic leverage does not do this. Transcheck report now has the option to toggle highlights for Terminology Check. Added option to toggle MT autosuggestions. Added spellcheck dictionaries for Malay, Indonesian, Bahasa, and Japanese which can be downloaded via Updates. Added the score column to bilingual tables. Enter button can now be set to navigate in between segment via the shortcuts. Office previews for XLS file are now in landscape view. All TXLF files added to a project now go directly into the “TXLF” folder. Segments that are locked in SDLX files are now locked in WFP5 as well. Verifying a segment triggers it being written to TM immediately. Increased hitbox area for Verify segment action in the Editor. Name of export bilingual files now matches the name of the source files in Quicktools. TM lookup info popup now wraps text. Clarified messages for completion of analysis. All warning and error messages can now be copied. Changed messages regarding Demo mode throughout app. Change icon size to be medium by default. Fixed issue with curly quotes causing false positives during spellchecking. Fixed issue with spellcheck Transcheck which caused Transcheck to fail if language dictionaries were not available. Fixed issue where clicking on the source did not put cursor exactly where you clicked. Fixed issue where Auto-Suggestion was not working on the 1st word of a segment. Fixed issue where is one TM connection is unavailable TM Analyze would fail. Fixed false positives generated by parenthesis in the Transcheck Punctuation check. Fixed issue that caused spaces to be missing for some Microsoft MT results. Fixed issue with the consistency check where not all source repetitions were appearing in the Consistency report. Fixed issues where sometimes excessive whitespaces were shown in the TXLF file which caused them to be removed from the target file. Fixed issue where if an unsupported file type was added to WFP that the user would be blocked from deleting it from the OS if WFP was still open. Fixed issues where the columns throughout the app would not be aligned properly. Fixed issue where bilingual exports where not being displayed in a continuous table. Fixed issue that caused the Transcheck Report to be missing the Paragraph length check. Fixed multiple display issues that appeared while using the app on a Microsoft Surface. Fixed Term Highlighting issues that caused highlight to overflow into the different columns. Fixed several window resizing issue throughout the app. Fixed issue where cursor disappears sometimes with Japanese and Korean target languages. Fixed issue that caused the location of reports to be based on the location of the previous project. Fixed issue that caused SDLX modified segments to never appear in the Segment Changes report due to an invalid segment status. Fixed OSX specific issue that caused some popup dialogs to not be able to scroll. Fixed issue where auto-propagation was adding “n” tags to certain segments. Fixed issues with Google MT results having too many extra spaces. Fixed issue related to copy action not working using a Hebrew keyboard. Fixed issue with bullets being saved as spaces in some filetypes. Fixed OSX specific issue where accented characters in filename caused target files to not be created. Fixed issue with Transcheck to skip Exact and Context matches segments from the report. Fixed issue with TM List checkbox not working for making TM active and Read Only. Fixed issues with font size change in target file. 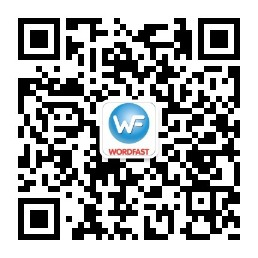 Fixed issue with Wordfast crashing when Find and Replace dialog is expanded in Linux OS machines. Fixed issue with Confirm/Unconfirm moving cursor focus to outline view from target segment. Added options to SRT filter to set max length and Paragraph segmentation. Implemented Import or Export Bilingual Review to show success or failure pop up. Added option to TM Admin preferences to ignore case during mark TU operation. Added Populate Frequents tab to PM Perspective to populate original TXML with translation from frequents file. Fixed shortcuts for Copy and Paste to work in TXML Editor. Added ability to export notes into MS Word document file. Implemented auto detect encoding for TXT, HTML, HTM, ASP and JSP filters. Implemented five new options for FrameMaker Filter – Translate Body Pages, Translate Master Pages, Translate Tab as Text, Translate Discretionary Hyphen as Tag and Exclude Table IDs text box. Translation Memory preferences list columns are now sortable with remote and local in same list. Fixed TM list duplicate issue in PM Perspective and TM Admin Perspective. Selected text can be copied from TM Lookup using Alt+F12 shortcut. Go To Segment can now be used to jump to any segment in TXML editor. Edit items from Translation Memory menu are moved to Edit Menu. Leverage Next/Previous TU are added to Translation Memory menu. Sorting has been added for PM Perspective File Name and Extension columns. Undo/Redo does not lose cursor focus. Tool tip for terminologies include Terminology symbolic name. Transcheck shows information dialog when no errors or options in TXML Editor. Clear All Target Segments is added to Translation Memory Menu. Retrieve Selected Segment is renamed to 'Retrieve Selected Tu. Copy source on no match check box is added for PM Perspective Analysis. Copy Source now inserts terminology from an active glossary. Fixed issue for Mac OSX Spellchecker which now adds to dictionary. Fixed Find/Replace Replace All now counts only Target replacement. Fixed Cursor focus issue after interacting with popup. Fixed Terminology Auto-Suggest to suggest first word in a segment. Fixed issue to show correct shortcut for Find/Replace in Mac OSX. Fixed issue with scrolling in TM (Local/Remote) & Terminology List in Preferences. Fixed MIF filter which fails to open some style formatted MIF files. Fixed out of order of contents when IDML files are generated to TXML. Fixed the issue with Auto-Suggest not working with terms/numbers after NBSP. Fixed issue with a XLSX/XLS cell contains empty comment opens the file. Fixed issues with IDML filter not extracting some contents to TXML. Fixed issues with Grouped objects inside PPTX file cause cleanup failure. Fixed issues with Auto Sorting inside PM Perspective during Drag and Drop of multiple files. Fixed issue with Analysis report throwing error when analyzed against non existing TM File. Fixed issue with Punctuation Transcheck which now does not throw error for placeables curly brackets. Fixed issue with Autosuggest which now suggests numbers that start with characters like #, €, or $ in source. Fixed inconsistency with fuzzy terminology handling between PM Perspective and TXML editor. Fixed Outline which now scrolls automatically to user selected segment in editor. Fixed issue with TM leverage between Editor and PM Perspective. Disabled Modify and Delete button when Terminology file is selected as Read-Only. Fixed shortcut to switch between source and target which now works from first segment. Fixed issue with IDML filter extracting inactive layers like print specs for translation. Fixed issue to extract numbers stored as text in cell which now get extracted based on the filter option set in Filter Format Preferences. Fixed issues with Memory Preferences does not get set for Windows 7 users. Fixed issues with Remote TM Admin Password which now will not be used in TXML editor for committing a segment. INX file gives an empty segment error when analyzing but still ends up creating a txml that can be translated. TXML has an unexplained empty segment.